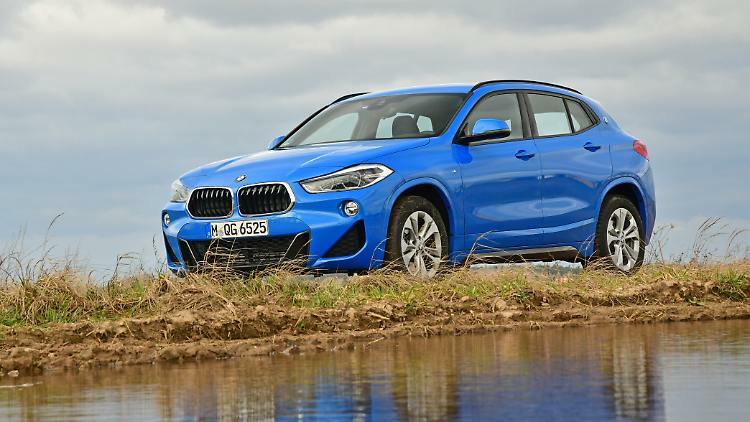 Since there was still room in the circle of numbers in the BMW X-Series, the Munich team placed an X2 in the missing spot. Smaller than the number 1, but much more dynamic presents the Bayer. Now he has made it to Berlin for a practical test and surprised in some details. In its X series, BMW has occupied the numbers from 1 to 7. And who says that not after the stunner X7 synonymous nor a X8 comes in coupe format? So it goes from small to large in number. You might think so, but with the X2 something has lined up in the SUV phalanx, which is smaller than the X1 . Eight centimeters miss the X2 at 4.36 meters in length, mind you, at number 1. Now that would not be a problem, but the X2 wants to be just about everything: SUV, sports cars, coupe, cross-country skiers and city car. In fact, he is probably the most consistent form of what the Munich Sport Activity Vehicle (SAV) call. However, we also know that sometimes less is more. 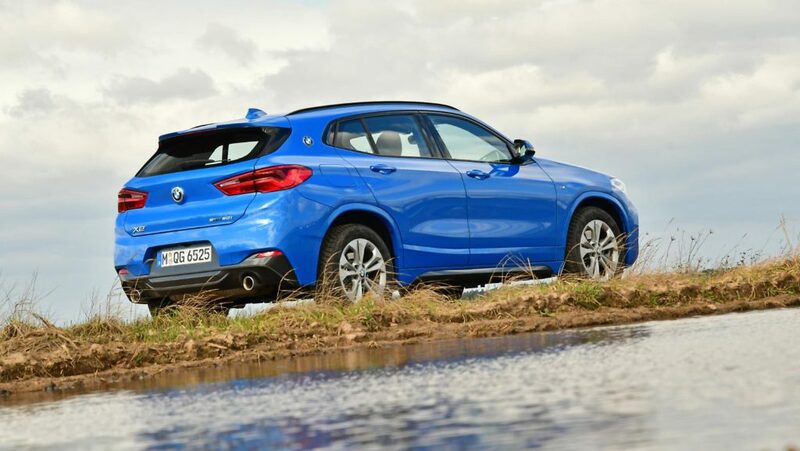 While the X2 is thus full and legs apart on the road and provides with the M package for an additional athletic attitude, it is already cramped when climbing the multi-talented. At 1.75 meters, one may elegantly wrap around the very short front door and the B-pillar, which is quite far forward. But for people beyond the 1.90 meters gets the entry already something cute. In the interior, this feeling continues. Now you can confidently speak of sporty tightness, a feeling that the car ties its pilot in the dynamics, stretches and clings like a leather glove. Or you realize that it’s just tight. The round instruments, the driver considered by the rather powerful steering wheel, seem crowded, although they are just as to be found in the X1. The perceived narrowness of course also comes from the fact that the windshield tends towards the pilot and the roof hovers more tightly over the heads of the occupants. Otherwise, everything is very consistent. The entire interior makes a valuable impression, the controls, knobs and the push-turn control for the operation of the multimedia unit have fine grid points and are easily accessible to fingers and hands. If you want, you can use the quick-browsing menu, which worked perfectly in all respects, with your finger on the 6.6 or 8-inch display. For an additional charge, there is also a head-up display, which projected his data large and in color in the windscreen. There, in addition to the navigation data and traffic signs, the speed can be read off. Since the practice test the X2 as sDrive 20i competed, the number 100 appeared after 7.7 seconds and pointed out that now country road speed is reached. In the translation, this means nothing else than that the four-cylinder, which draws 192 hp from 2.0 liters of displacement and a maximum torque of 320 Newton meters available, throws everything forward to push the Bayern. He does this even with light pressure on the gas pedal with such force that the front wheels pawing at every start like the bull before the start on the matador and at the same time the ESP lamp flashes like the Stroboskoblichter at a techno concert. The result is that feel the 192 hp when starting to significantly more. Especially since it is simply not necessary to set the driving mode switch to Sport for the cavalier start. The pilot does this automatically, however, if he wants the spontaneous provision of power reserves from the fast run. Here the Turbo quarrels for a moment, until it decides to activate its blower properly. At this point, one is even inclined to doubt the 192 horses, or at least to speculate that 42 of the horses have fallen asleep. In the end, however, the herd will then run, whipped by the steptronic, which switches automatically over seven steps, with 227 km / h over the paddock. And on the whole, the Bayer was satisfied with all journeys on average with 7.7 liters per 100 kilometers. For the driver, the X2 is still great fun, because chassis and steering are in the test car from the M package, so far trimmed by the sports department for maximum performance. 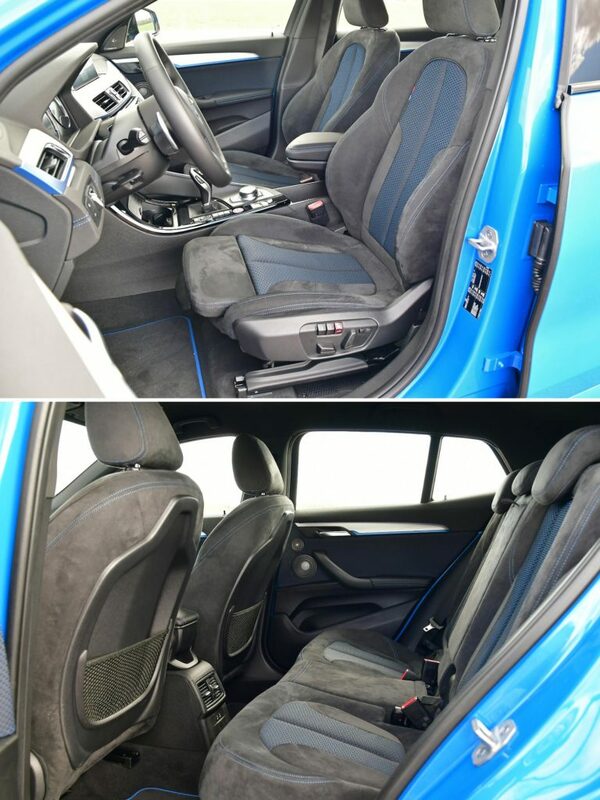 The engineers have made sure that the rear seat occupants are really bothered only at common transverse joints and that the steering is pointed like Neighbor Lumpi. This makes the X2 wipe precisely at every turn and gives the driver an extremely good feeling. It will only be critical for short consecutive load changes. Here the extreme fine-tuning of the steering takes its revenge, because now the Bavarian swings his entire weight of at least 1.5 tons over the axles. Fun for the inmates of the front row, who are well held in their sports seats, not so funny for fellow passengers in the rear. The are technically quite limited anyway space and if it still goes back and forth, you can ever bump your head on the C-pillar. Well, with all M-wanted sportiness, the X2 is not a hypercar and it does not want to be. Of course you can also travel here for four or even five people. But similar to the 1er makes it all better for two. For the luggage then 470 liters are available, which is slightly less than in the X1, but still more than in the Jaguar E-Pace or the Mercedes GLA. But if you want to use the load compartment in its entirety, you have to reach deep down, because the double loading floor is high. With the ratio 40:20: 40 convertible rear seatbacks, the volume can be expanded to 1535 liters. However, the seats in row two can not be moved. Of course, BMW also offers a whole range of assistance systems for the X2. The lane departure warning system with distance radar and cruise control, for example. However, why the system works only up to a speed of 140 km / h is inexplicable. With other manufacturers it goes up to speed 210 or at least 160 km / h. Sure, one could argue that this is the best cruising speed and that you really do not have to be faster. In practice, on highways, but it is a unfortunate pace. The operation of the parking assistant is a very special BMW thing. If you want your X2 to push yourself into the parking bay, you must leave your finger on the corresponding button when the vehicle has been parked. Why? Well, Bayern want to be sure that the pilot is still in the thing. However, the assistants do their job well, there is no need to complain. Conclusion: The BMW X2 also fulfills the promise “joy of driving”. However, the occupants have to be modest in space, because a space saver is not the sporty SUV, although he promises more from the outside. In addition, there is a pricing policy that does not really make Bavaria a bargain. For the X2 makes a good quality, with chic design and state-of-the-art in the competition.